Or lamb ragout on a bed of puréed aubergine. No wonder the Sultan loved it because we do too! 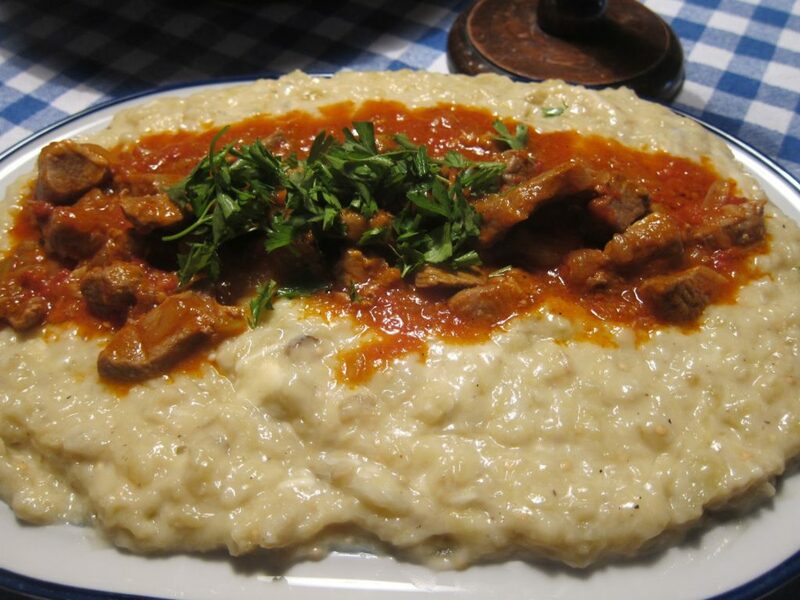 This is an old Ottoman dish, the name literally meaning ‘the Sovereign relished it’. I think Angie Mitchell’s translation is perfect: Sultan’s Delight! Yes! I am sure it will be your delight too. I was looking for a dish that I could prepare in advance and where the tastes would all meld together in a delicious combination of summer flavours. Friend Frances was coming for a few days and even though it has been extraordinarily hot, a nice meal upon arrival always says welcome. But I do have a confession of sorts to make: instead of grilling or roasting the aubergines and making a huge mess of your oven, I used a jar. Yes, I did and I heartily advise you to do the same. It is not sacrilege just commonsense. A Turkish friend who is a really good cook advised me and I will never look back. However she did say that one should use a make without extra flavours thrown in like garlic. 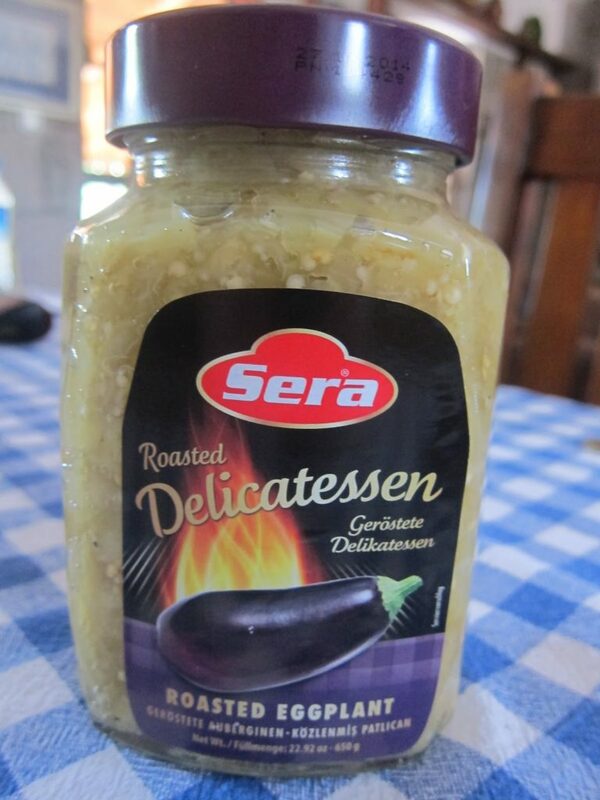 This one, Sera, available from Carrefour in Istanbul at least, is as natural as it gets. Try it and see. The taste is very authentic. Sauté the chopped onions gently in the butter until soft. 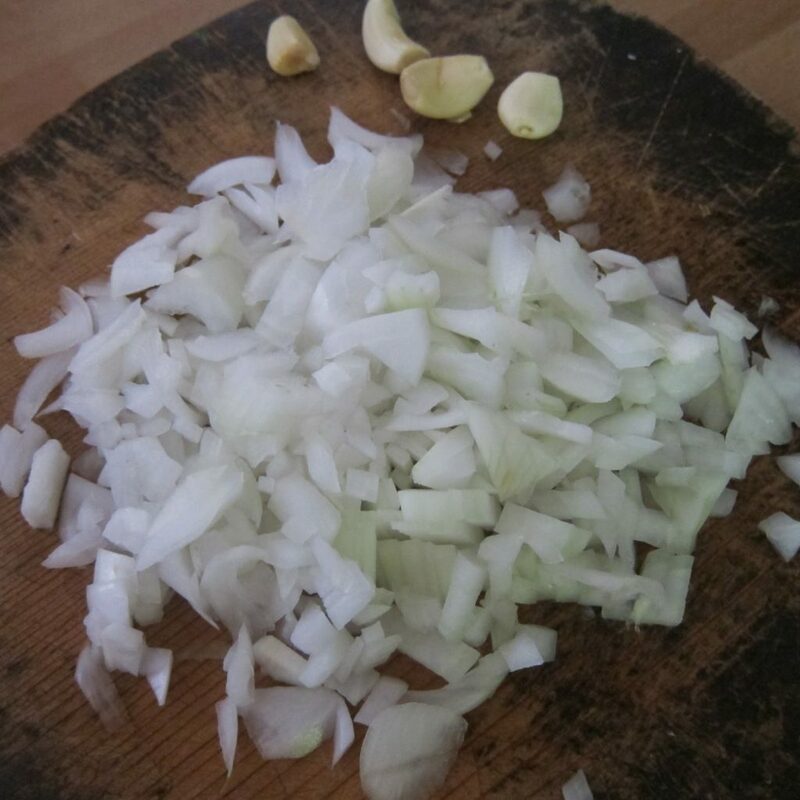 Season the meat with the salt and pepper and add to the onions, stirring occasionally until evenly browned. 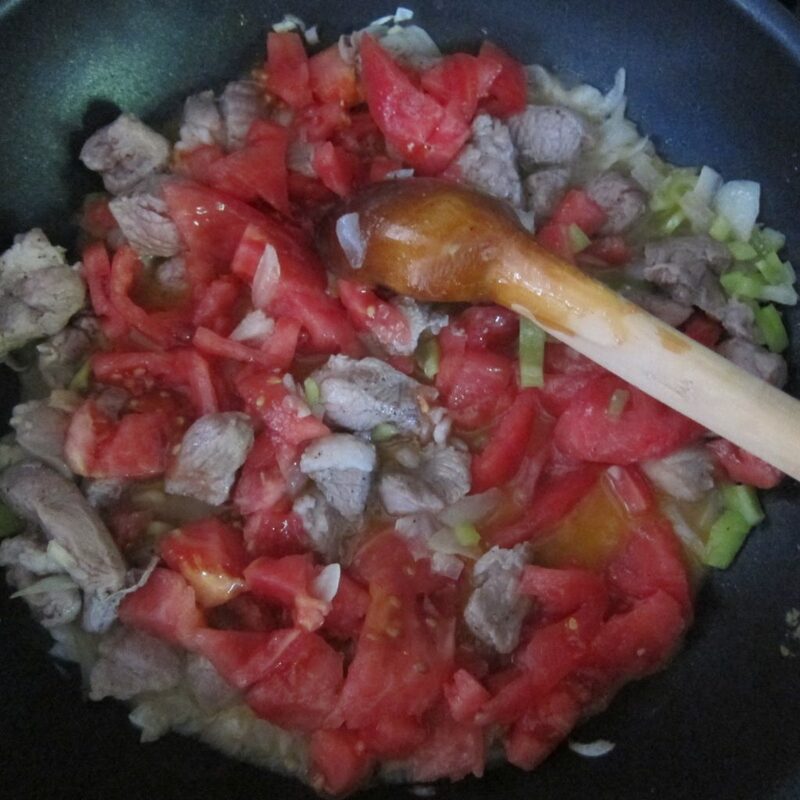 Add the chopped green pepper and garlic and when these are sizzling add the chopped tomatoes and continue cooking until the juice has evaporated. 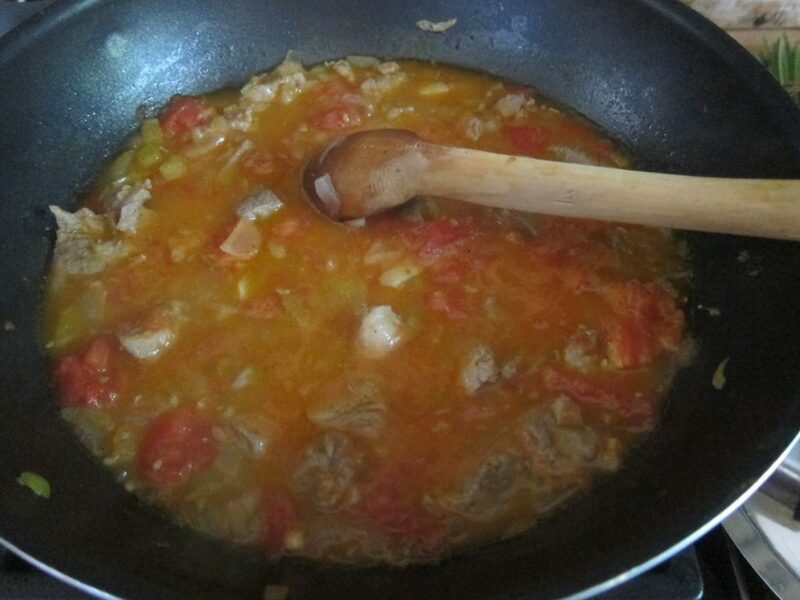 Add the hot water and the tomato paste, cover and simmer for about 1 hr or until meat is tender. Take care it doesn’t dry out and add a little more water if necessary. don’t you think this looks mouth-watering? Melt the butter on a low heat. Add the flour and beat well to make a roux. 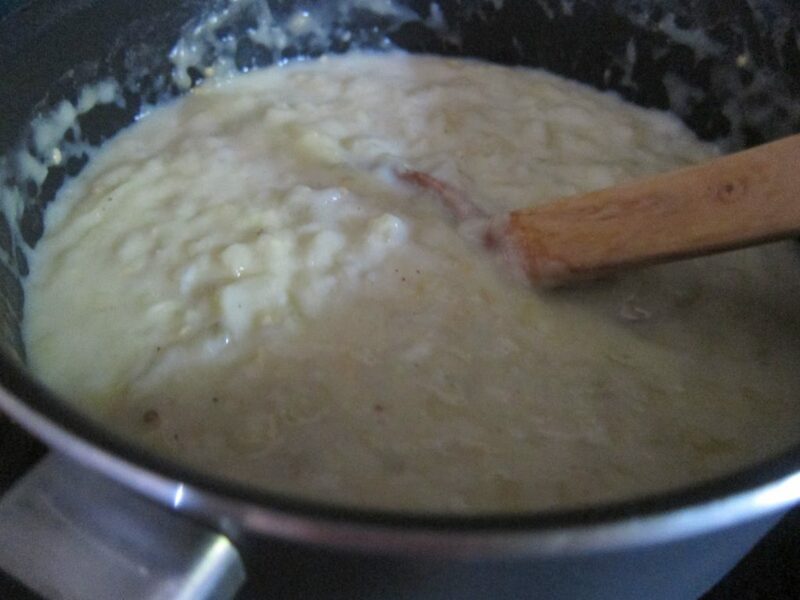 Slowly add the milk, whisking thoroughly to get a smooth consistency, and cook for 5 mins. Add the mashed aubergine (for traditional way, click here), a little salt and freshly ground black pepper, and simmer gently for a further 5 mins. 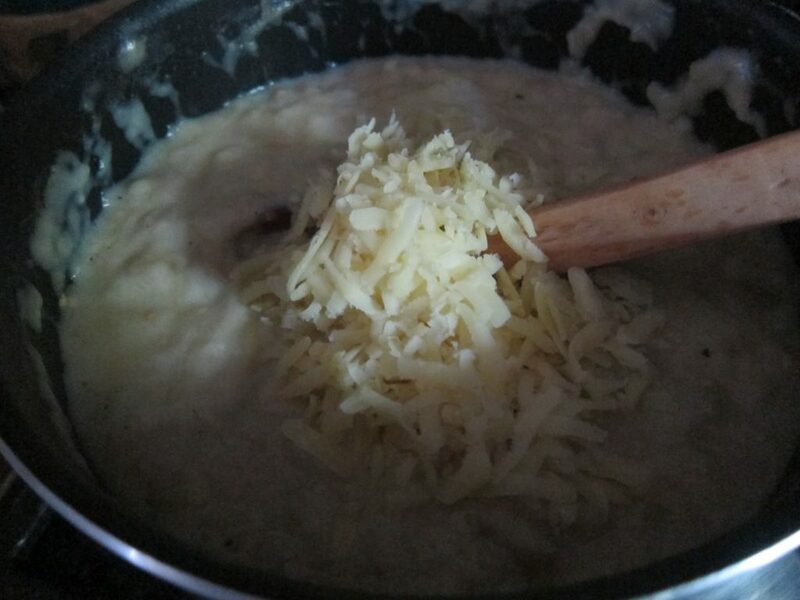 Remove from heat, stir in the cheese and a little freshly grated nutmeg and simmer gently for a further 2 mins. 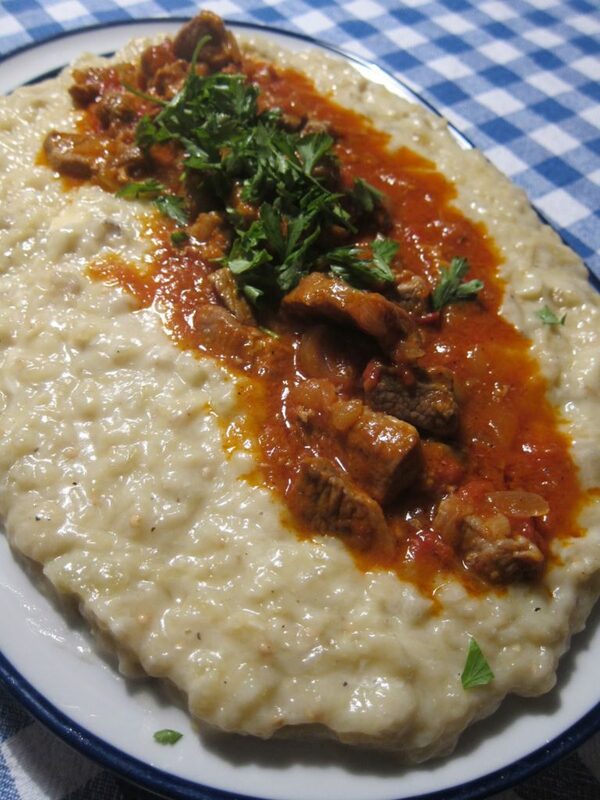 Serve hot, the meat sitting on top of a bed of the aubergine purée, and garnish generously with chopped parsley. 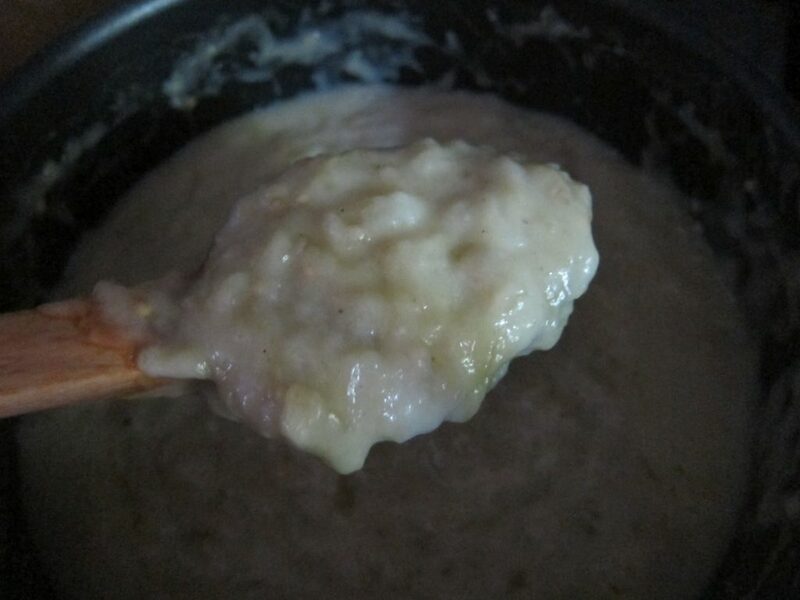 If you reheat the purée, you may need to add a little more milk to ensure you achieve the correct consistency. A delicious meal at any time but especially now when the tomatoes and green peppers not to mention the aubergines if you are using the real thing, are at their best. I recommend making it in advance as the tastes will blend and become even better. her tummy in order to regain her shape after giving birth! Amazing! I am so disappointed that I can't make your class, Özlem.. but I am sure it will be a big success and I look forward to hearing all about it. I'll call you tho'. this looks so good! i made it a while back and we all loved it. i wonder if i can get good pureed eggplant here. next week i am out on the hunt for pomegranate molasses so i will look for this as well. i guess it can be used to make babaganough? yes, once you start using it, you hardly know where to stop!! This will definitely be a delight. 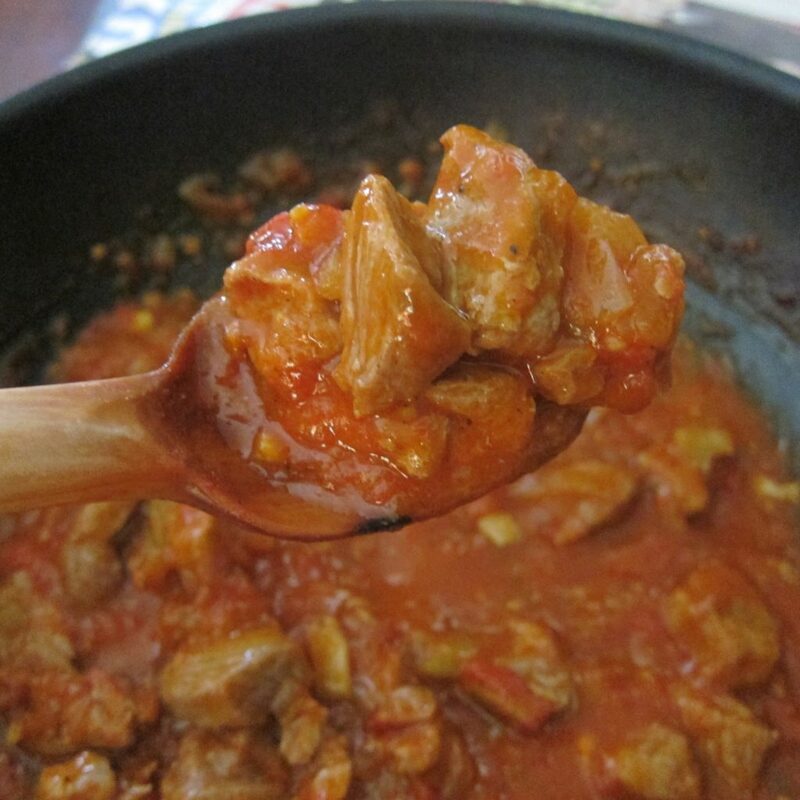 I love the thought of eating lamb with eggplant. oooh it goes so well!! That looks really good. I love eggplant and I love lamb in any form. I have never come across roasted eggplant in a jar. Must be an indication of how much eggplant is used in Turkish cooking. I suddenly realise how eggplant makes "Turkish cooking" subtly different. I would love to know how the olden day shepherds roast or barbeque lamb. Do they carry any herbs or use wild sage or rosemary perhaps? I ate it once many years ago cooked by a Turkish farmer and there was some unique flavour about it. what a nice idea to reflect on! Thanks, Archie! Now you've given your blessing to bottled aubergine, I will give it a try and save myself hours of scrubbing my hob. I honestly think this is the way forward! NO more messy ovens, just open up that jar and go for it! I haven't tried any other than Sera so can't vouch for that .. but Sera certainly came up to expectations!! My husband would probably devour the whole meal by himself….anything with eggplant he eats: cooked anyway. I should look up at the Turkish grocery store we have here "Istanbul Marche' and see if they have any bottled eggplant. The owner is good if you ask for something he tries to get it in for you on his next container that is shipped here. Wish I could attend Ozlem's Cooking Classes but I'm not there at that time of year…tooo HOT for me. 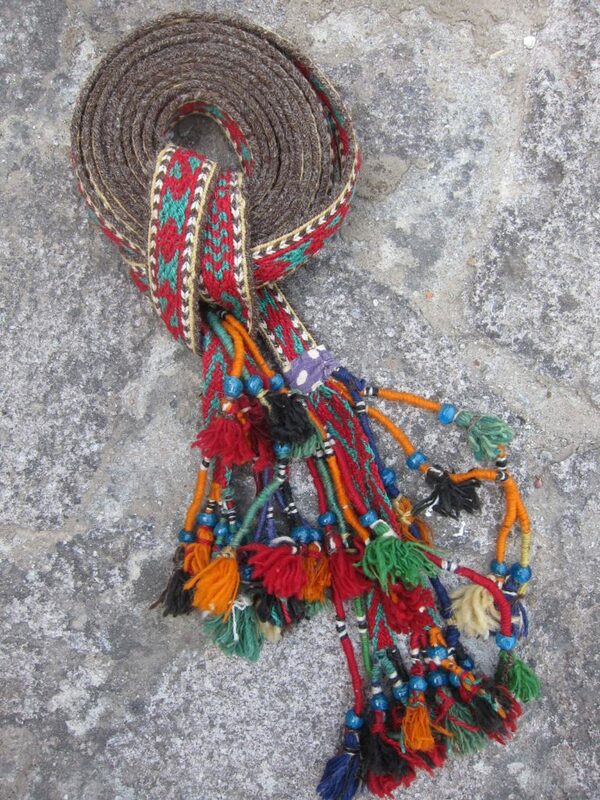 ****….drove by the place where the Turkish dondurma is coming still not open. ERica! Hello! Thanks for yr comment – I would be really interested to hear if you can find bottled eggplant where you are – honestly, it simplifies matters considerably :). I am sure Ozlem's classes will be just great and I am sorry to miss them myself. It is amazingly HOT!!!!!!! So nice to connect with you nonetheless, Erica. Thank you. I can get over Auvergne purée in a jar! I have never seen it but would have been worried about the taste but since you've said it is good I will have a good look for it. The lamb dish looks lovely.